This week several members of the Security Lab attended the 25th HotMobile workshop in Santa Cruz, CA. Kiron Lebeck, graduating PhD student, presented his work on “Enabling Multiple Applications to Simultaneously Augment Reality: Challenges and Directions”. Shrirang Mare, former Security Lab postdoc (now a postdoc at Indiana University), presented his work on “Consumer Smart Homes: Where We Are and Where We Need to Go”. 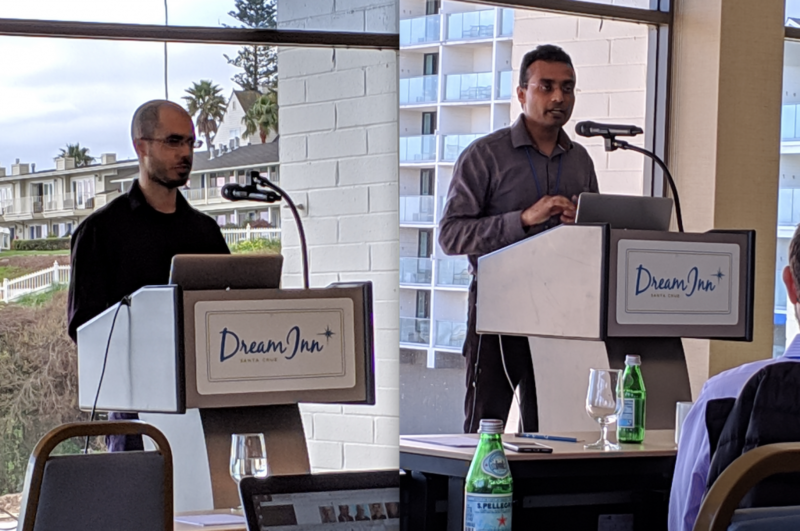 Congrats to Kiron and Shri on great talks and discussion (with a great view of the ocean in the background)!